The Financial Times event on Tuesday was great fun. Alex Batlin and me up front, with Kadhim Shubber and Hannah Murphy from FT asking our thoughts on various topics related to cryptocurrency, ICOs, investing and blockchain (or Blockchain™). Nearly a full room too, a hundred audience members. Sadly there isn’t a recording up — though I think they got one — and I forgot to bring either books to sell or even business cards. Talked to lots of people afterwards, though. Boy did you miss out. UK Parliament has launched an inquiry into digital currencies. Looks like I’ve got some work to be getting on with, and you do too. The SEC is finally sick of your ICO rubbish. Eighty or more subpoenas so far — and not just to the companies, but to their advisors and lawyers. Everyone told you this was coming. One of those was Overstock.com, concerning its tØ securities trading blockchain ICO. In an 8-K filed today, they disclosed that in February, the SEC had requested “certain documents related to the Offering and the Tokens in connection with its investigation.” Their stock proceeded to drop 10%. Over in Europe, it’s the General Data Protection Regulation you’ll need to look out for — personally-identifiable data is almost certainly incompatible with an immutable blockchain. 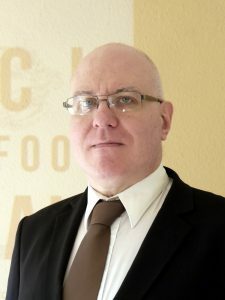 In France, the Autorité des Marchés Financiers has announced that it considers “the offer of cryptocurrency derivatives requires authorisation and that it is prohibited to advertise such offer via electronic means” — that cryptos are covered by MiFID II. “The AMF concludes that a cash-settled cryptocurrency contract may qualify as a derivative, irrespective of the legal qualification of a cryptocurrency.” As well as no more online ads, crypto businesses will have to meet much higher standards of conduct and reporting. IOTA: The Brave Little Toaster That Couldn’t: a summary of the numerous technical, social, and ethical problems surrounding the IOTA project, The IOTA Foundation, and the IOTA developers. The sentence, "Porsche becomes the first auto manufacturer to utilize multiple copies of a giant excel spreadsheet," has exactly the right amount of dazzle and sexiness that is warranted for the situation. m1rko at Geektimes.ru has translated my “Why you can’t cash out” series into Russian. uMatrix is from Raymond Hill, the author of uBlock Origin, the best ad blocker for web browsers. It’s a sophisticated personal web filter, like uBO but much more powerful. I like his choice of example web page. 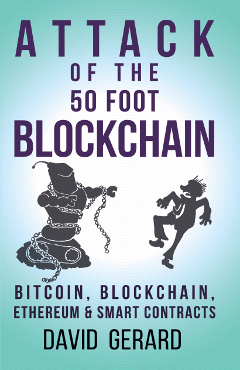 Blog reviews of Attack of the 50 Foot Blockchain I didn’t spot at the time: Clive Tong, Maxie Duncan, Roger Burton-West. "Computers yelling Numberwang at each other" is my absolute favourite description of blockchain. I've reached out a couple times, but I haven't heard back. The first alien civilization we contact will be a Bitcoin mining rig which takes up an entire planet and is staffed entirely by robots. The organic lifeforms which got them started will have died out millions of years beforehand. If Cryptocurrency transactions fall under MIFID II – directly, or as derivatives – then rumours of trading activity intended to mislead or distort the marketplace must automatically be investigated. For the discerning connoisseur of paid for articles and crypto projects being launched in a second language – ‘Unicorn’ really does take Crypto BS to levels you never thought possible.